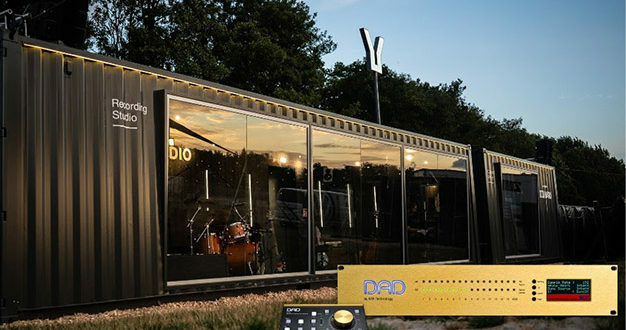 Digital Audio Denmark has teamed up with Dynaudio to turn two cargo containers into a professional recording studio for musicians. For the project – dubbed Dynaudio Unheard – a networked IP Audio solution was preferred. 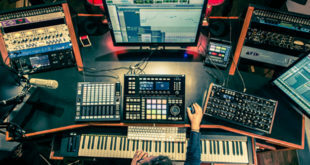 A DAD AX32 unit acts as the primary centrepiece that connects and redistributes all of the audio channels that go between a Nuendo-based DAW in the mixing room, a live mix to an outside PA system, headphone monitor mixes via a Klang Fabrik system, various talkback setups and a separate mix going to an on-site video team, primarily via Dante, but also across MADI, AES and analogue signals. It functions a stage box with 24 microphone preamps and AD-conversion. In the control room, the producer has a DAD Monitor Operating Module (MOM) hardware controller to administrate monitor feeds and talkbacks. 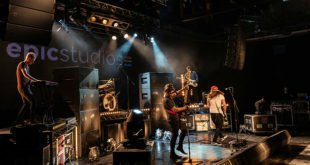 The concept recently featured at Smukfest music festival in Skanderborg, Denmark, where a total of over 30 bands signed up for a recording session in the Dynaudio Unheard mobile studio. 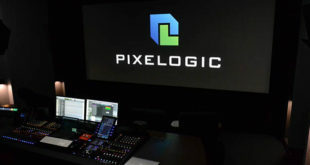 Previous What is driving the international pro audio education boom?